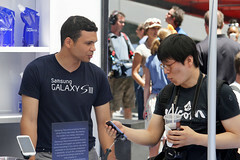 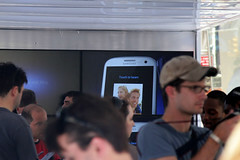 In coordination with their 2012 North American launch of the new Galaxy S III, Samsung wanted to take the technology to the people and let them interact with the phone in an intimate environment to experience all of its features directly. 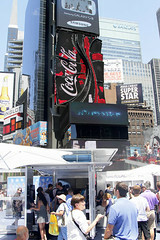 Los Angeles, San Francisco, Boston, Chicago, Dallas, Washington DC, New York City, and Philadelphia. 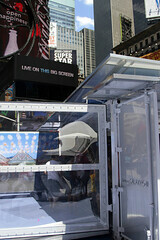 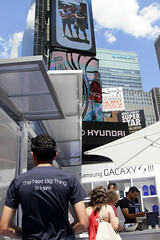 Samsung’s 12-week, 8-city activation took America by storm in customized environments that let people experience the smartphone on a personal level. 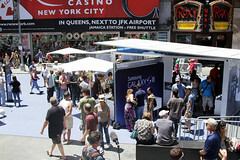 Starting with a repurposed 20-foot container, we customized our Cabana design to maximize the showroom area so that Samsung representatives could engage with prospective customers to highlight the features of the device and win prizes. 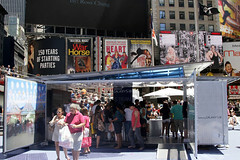 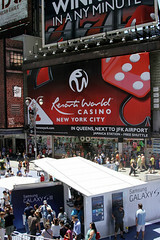 Fully customized and branded to the teeth, our iconic solutions attracted crowds in every market. 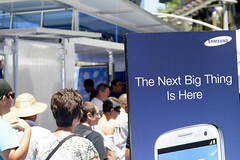 The comprehensive campaign turned out to be so successful that not only did Samsung continue the tour in three additional markets, they also plan to use our units in future tours.